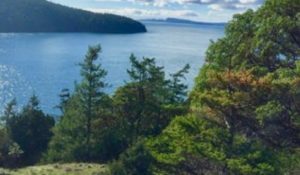 The [email protected] talks have been so inspirational and offered me a chance to connect with some amazing folks doing great work in improving our food systems and natural environments. In February, Missy Anderson, the Queen Bee, and Eli Bloom, a graduate student doing research on the 21 Acres farm, gave a great presentation on pollinators and in particular, the orchard mason bee. Orchard Mason Bees are a native, non-stinging, non-honey producing bee. They are powerful pollinators that make an excellent addition to our gardens and farms. The bees are just emerging from their cocoons now and I was eager to learn more. 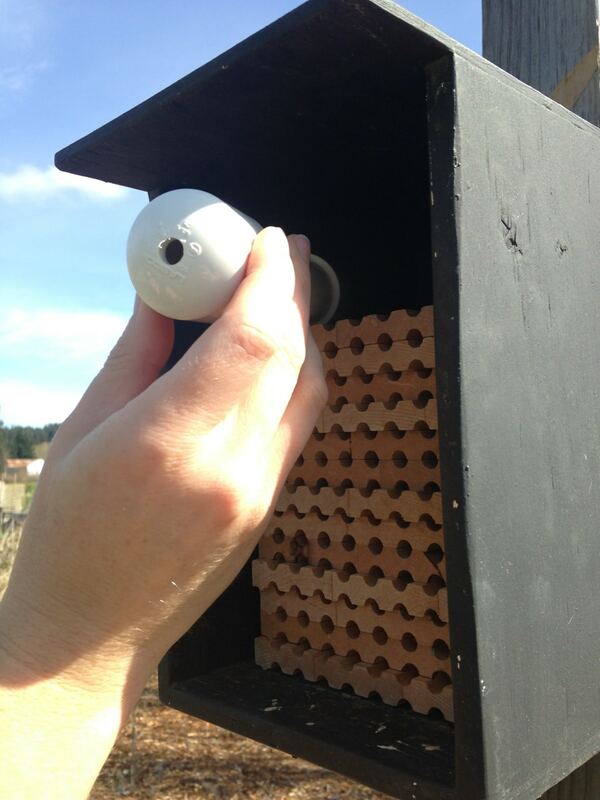 Missy rents mason bees for folks who want to try it out with a little help. I reserved my bees this month and picked them up. 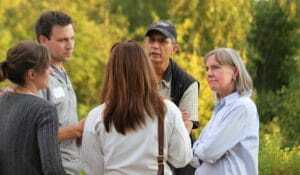 I was provided with the bees, a nesting box, a housing unit and lots of advice and assistance. 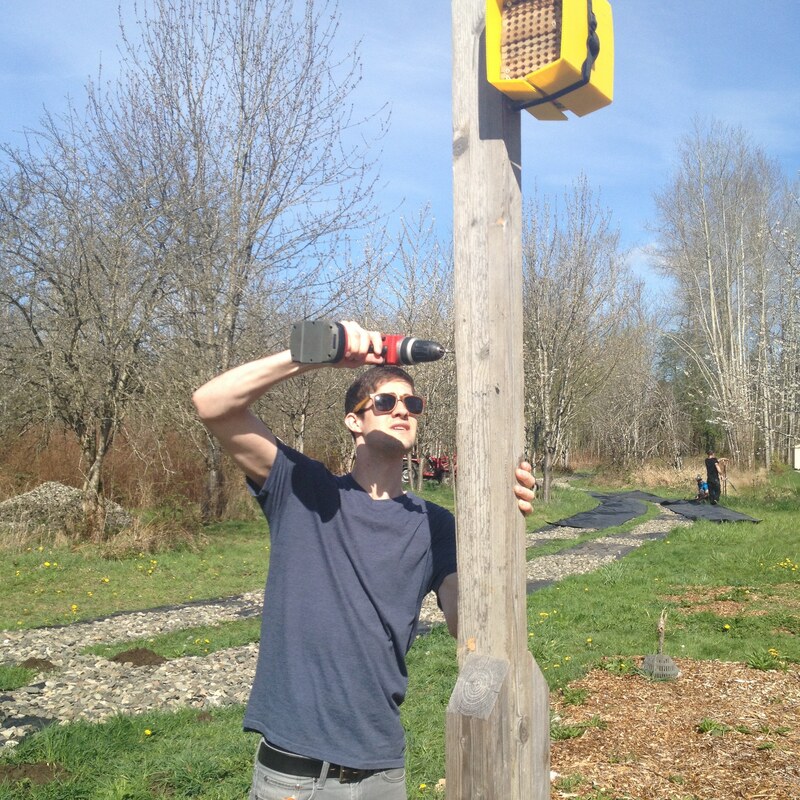 With a little help from Aaron at 21 Acres, we hung the box in our fruit forest where the trees and shrubs have already started blooming. The bees are released in stages, half now and half in 10 days or so. It was an easy process and when I went back to check on the progress today, I was happy to discover, some empty cocoons. After a little more exploring, I spotted a couple of mason bees buzzing around the area. Success! I am still learning about these cool, little insects and I encourage you to do the same. 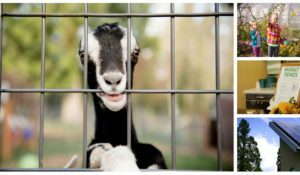 We have lots of knowledgeable individuals at 21 Acres who would love to visit with you and talk about mason bees, vermicomposting, what veggies to plant now, or a plethora of other things. 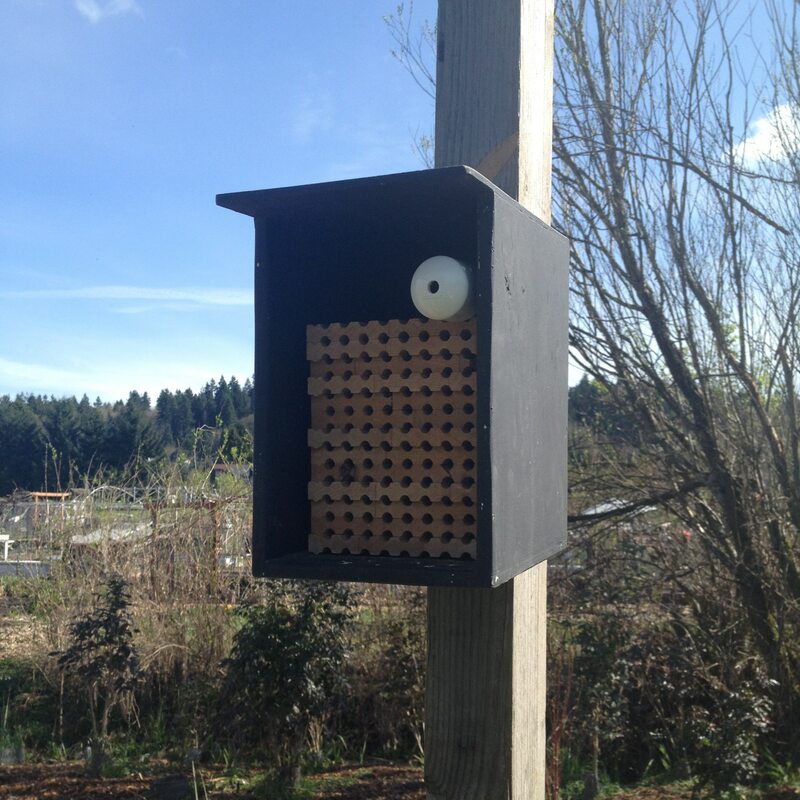 Stop by for a visit and take a walk out to the farm and check out our mason bees. And don’t hesitate to contact me if you want to help out with this project.